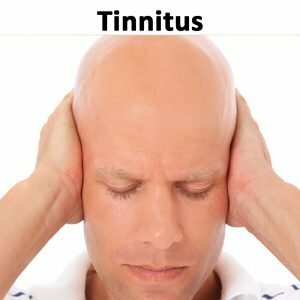 What do you know about tinnitus treatment? The medical profession generally understand that hypnotherapy is believed to be a tinnitus treatment but more research is needed. I currently have four clients on my books suffering with tinnitus and all have responded differently. Yesterday though was the most dramatic…. The person in question has had tinnitus for over 20 years and was told by the hospital 10 or more years ago that he would just have to ‘live with it’ at which point he gave up hope of ever being able to control it. His wife bought him three sessions with me for Christmas and to say that he turned up a bit sceptical is probably the understatement of the year. The first session went ok but not great although the client maybe had a misconstrued idea of what hypnosis was – due in part to seeing some stage stuff. The second session was a bit better but still no change and then yesterday he came in saying that the last week had been worse than ever describing it as a full on shriek that kept him awake til 1.30am. Actually rather than be dismayed that was music to my ears (excuse the pun) as it meant things were shifting. An hour after coming in saying that it was worse than ever the client left saying that for the first time in over 20 years it had completely gone from one ear and greatly reduced in the other. We sat and talked a bit and 20 minutes later it was still the same. The look of shock and bemusement on this guy’s face was quite a sight but the look of wonder was more than money could ever buy. How did he manage to use hypnosis as a tinnitus treatment? Most of the real work was done in the two previous sessions (there’s a reason I ask people to book in for three) and during the pre-talk of yesterday’s session where certain suggestions were subliminally put to him. Once in hypnosis those suggestions were reinforced and a few visualisation techniques used, he seemed to struggle with these but it’s so important to remember the horse and rider analogy that we don’t need to worry about his conscious mind and above all believe in yourself and your abilities. If you want to know more either as a client or learn how to help others then check out the rest of my website, it’s packed full of information. ← Can’t run – won’t run? | Weekly running group for non runners! !